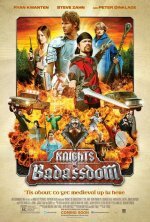 Knights of Badassdom release date was Friday, January 24, 2014. This was a Limited in theaters release. 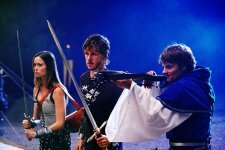 The film KNIGHTS OF BADASSDOM follows three best friends (Peter Dinklage, Steve Zahn and Ryan Kwanten) and dedicated LARPers (Live Action Role Players) as they take to the woods to reenact a dungeons and dragons-like scenario fresh out of the mythical Middle Ages. Trouble arises after they unwittingly conjure up some serious evil in the form of a blood-lusting Succubus, from the pits of hell. added the tagline: "Tis about to get medieval up in here"